It’s Christmastime in the city. One of our guests’ favorites! Cars are allowed to go anywhere on this one-way oval. 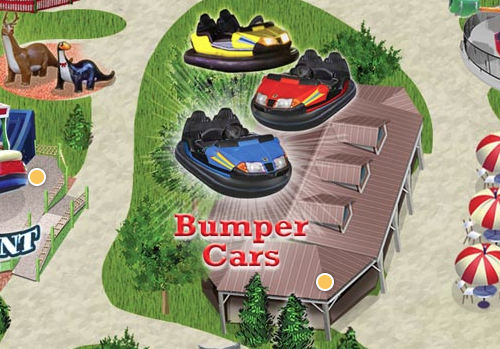 A classic ride of fun and bumps–one way traffic only! Be prepared for bumps from all sides! Expecting moms and guests with back problems should not ride. Children must be at least 42″ tall to ride with a responsible companion of at least age 16, and MUST BE AT LEAST 48″ TALL TO DRIVE ALONE.